Contemporary British Silversmiths was delighted to partner with Elements in Edinburgh this year to continue to promote silver in contemporary life through its Silver Speaks programme. Many members were represented at the event and demonstrations were held by Hazel Thorn, Mary Ann Simmons and Hamish Dobbie. Elements 2, a festival of gold and silver held in central Edinburgh, was another resounding success, with increases in sales, visitors and event attendance. The fair is now firmly set as an annual event and interest in the event has surged hugely since its debut year. During this year’s fair, sales and event attendance numbers both increased by 50% and the event saw a significant increase in overall visitor numbers. The number of makers at the event also increased from 40 to 48 and attracted talent from even further across the UK from before, with makers joining from as far as London, Sheffield, Cardiff and Dorset, as well as the Highlands and Islands and Scottish central belt. 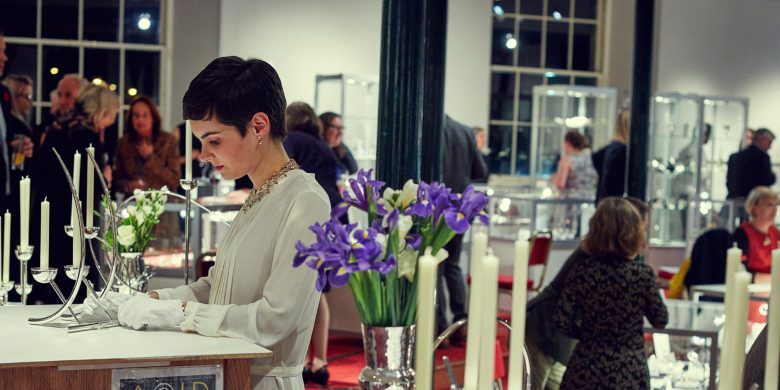 The event is hailed as a much needed platform for silver and gold in Scotland and is an important new addition to the jewellery industry calendar for Scotland and beyond.